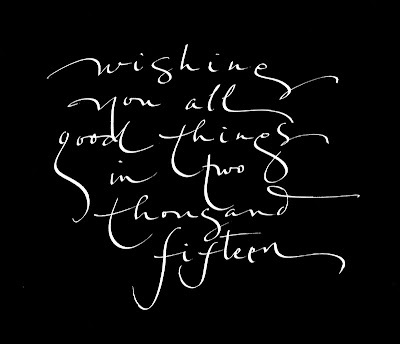 As I go into the new year with the ongoing intention of not planning ahead in my work, I let the tools, the materials, and what I was feeling guide me in my lettering as I wrote this greeting with a Speedball C-4 nib and Higgins Eternal Ink on everyday paper. After several variations on a numerical 2015, I decided to go with the year written out in words. I usually write things out from 5 to twenty times (5 here) and choose the one I like best to scan into Photoshop. I may have known it once but couldn't remember how to turn black lettering on white into the reverse. My visting son gave me the simple key command: command I (or image-adjustments-invert). Magic! Your srt is lovely. I, too, have had quite a time with the new terms in Photoshop. Why change reverse to invert? We may never know. 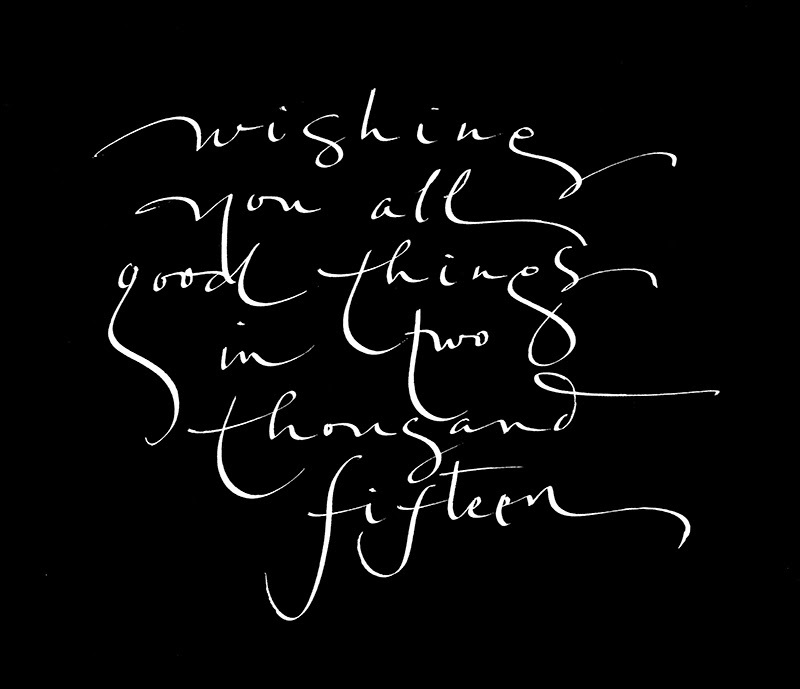 Nice blog, blessings in 2015! we're on the same page this week Susan, "where white is black and black is white" Candlelight © Rod Morgan 1973!